Our Practice - FAMILY VISION CARE TIM SELLERS O.D. Dr. James Sellers, Tim's father, began this practice in 1975 and retired in December 2000 after 25 years of service to Adel and the surrounding communities. His son, Dr. Tim Sellers took over the practice on January 1, 2001 and started what is now know as Family Vision Care (FVC). ​Family Vision Care is committed to providing the highest overall quality eye care service to you and your family. We promise to evaluate your eye health status and explain your vision needs, emphasizing preventative care. Your questions will be answered in a non-rushed eye health evaluation, unlike many of the offices who spend only a few short minutes with their patients. Our staff is dedicated to providing this care in an atmosphere of compassion and respect. Our mission is to remain on the forefront of eye care through continuing education, utilizing the latest state-of-the-art technology and instrumentation. We will strive to exceed your expectations with a level of service and value not often seen in health care today. Our goal is to ensure you will return and recommend our practice to your friends and family. If you have any questions please call our office at (229)-896-4596. Doctor Tim was born in Memphis, Tennessee in 1971 while his father, Dr. Jim Sellers, was in Optometry school. In 1975, his family moved to Adel, Georgia where he grew up and later attended Cook County Schools. He is a 1990 honor graduate of Cook High School and graduated from Valdosta State University in 1994 earning a Bachelor of Science with an emphasis on Biology. He then returned to Memphis to attend Southern College of Optometry and graduated with his O.D. Degree in May of 1998. Dr. Tim has been in practice since June of 1998. His career started with a busy practice in Americus, Georgia as an associate for 2 years. This opportunity allowed Dr. Tim the experience needed to practice Optometry, before coming back home to Adel. In July of 2000, Dr. Tim returned to his hometown of Adel to practice with his father, Dr. Jim Sellers. In December of 2000, Dr. Jim retired leaving the practice to Dr. Tim. He has been practicing in Adel as a solo practice Optometrist ever since January 2001. Dr. Tim is a member of the Georgia Optometric Association, American Optometric Association, Adel Lion's Club, Cook County Chamber of Commerce, and Adel/Cook Recreation Department Board Member. ​Dr. Tim has supported numerous local charities, all the local schools, and many organizations. Cook Livestock Association, Boy's and Girl's Club, Cook Chamber, Recreation Department, Kiwanis Club, Lion's Club, Cook Primary, Elementary, Middle and High Schools. He is committed to giving back to the community that supports his practice. Tim is married to Traci and has two daughters, Madison and Mackenzie. He enjoys spending time with his family and playing an occasional round of golf. He is a member of First Baptist Church in Adel. "Turn your eyes upon Jesus, Look full in his wonderful face, and the things of earth will grow strangely dim, in the light of his wonderful face." Kimberly has been with us since November 2015. She has several years of experience in billing and management. Her knowledge will help assist you in your visit, so we can properly file your insurance and answer any of your questions about our complete billing services. She understands the business side of health care and can guide you throughout your time with us. Many people do not understand their insurance or coverage. Kimberly can help you feel at ease with our services and billing. We want your insurance to work for you so you get the best out of your insurance coverage. She can also help in all aspects of office duties. From check-in to check-out, patient work up, and pre and post testing, as well as frame selection and contact lens assistance. Kimberly will bring a renewed and confident atmosphere with a friendly smile and help you any way she can. We are most pleased Kimberly has chosen to work with us. Kimberly is married to William Sheffield and from Nashville and they have 4 children, Tristan, Kailey, Sailor, Tallulah. She enjoys spending time with her family. "No regrets just lessons learned" words to live by. Lesa has been with Family Vision Care since May 2007. She came to our practice with 20 years of experience in eye care. Her knowledge reaches each aspect in patient care, including frame selections, contact lens care, pre and post testing, glasses repair and adjustment, and assisting the doctor. She can help any way possible from check-in to check-out and she knows a lot about your insurance information. Lesa is committed to being thorough and efficient. You can trust her to care for your vision and eye health. She will make sure Dr. Tim is informed about the problems you are having with your eyes. Lesa has an incredible personality to go along with her superior understanding of vision care. There is not much she cannot do here in our office. ​We are extremely pleased Lesa is part of our practice. She has been a vital part to our practice. Lesa is from Lenox and is married to Chuck Hudgins and they have 3 children, Justin Moody, Holly Carter, and Ansley Hudgins, and 2 grandchildren, Rylee and Jaxson. Brittany has been with Family Vision Care since June 2008. She is our contact lens and frame selection expert. She will assist you in getting that perfect pair of fashion frames and/or that best pair of contact lenses. She is knowledgeable in fitting glasses to your face and eyes. The right fit will always make a difference. She does a tremendous job repairing and adjusting glasses. She will also train you how to wear and care for your new contact lenses. She is in charge of placing your glasses and/or contact lens orders for our fast turnaround service. There is not much Brittany cannot do to assist you in our office throughout your whole experience. She has been an enormous asset to our practice. We are delighted to have her at Family Vision Care. Brittany grew up in Adel and attended Cook High School. She has a son, John Thomas Fulghum. She likes spending time with family and friends and enjoys an occasional round of golf. Kristen has been with us since August 2017. She has come to us to assist in scheduling, patient welcome and check-in. She is the first impression of our office and we could not be more pleased to have her with our practice. She may also assist in check-out duties and making sure you understand your insurance information. Kristen will greet you with a caring and compassionate smile. She will guide you through our check-in process with ease. She makes sure we have everything we need from you to manage your visit with us. Kristen is able to assist in many aspects of your visit. Repairs, dispensing, frame selection and adjustments to name a few. We could not be happier to have her join our practice. ​Give Ms. Kristen a call to schedule your appointment today. Kristen has 3 children, Carter, Clayton, and Claire. She is from Adel and attended Cook High School and is a member of Lifespring Church in Moultrie. She enjoys spending time with her family. Brittney has been with our office since June 2018. She has come to help assist in the background duties of filing, scanning, patient reach-out, postcard appointment reminders, letters, statements and any other necessary duties. She is a huge help to our office staff. She helps each one to keep on task. We only hear great things about her work ethic and desire to help in any way possible. Brittney works more behind the scenes, but you may see her hard at work making sure her duties get done. We are extremely please she has decided to join our practice. We hope to keep her through her high school career. She will be a Junior at Cook High this year and will be coming to help us each day with the Work Learning Program. Brittney is the daughter of Brad and Jenny McDaniel. She has a brother named Alex. She enjoys running cross country. Our technicians will start with a detailed medical history including chief complaint, blood pressure, family history, and current medications. Dr. Tim performs his own vision analysis while looking for any conditions that can affect the eye. Our mission is to examine your eyes for any potential problem or threat to your vision. Our goal is to PREVENT any problem or threat from harming your eyes. This is obviously best accomplished while your vision is still good. ​We recommend getting your vision checked before a problem could start. The best time to come in is while your vision is still good. Problems can occur without warning. You do not want to wait untill a problem has already started. Some problems cannot be treated with glasses and cannot be improved after damage has occurred. Early detection and prevention is a better philosophy when it comes to your vision care. We also believe it is best to have your child's vision checked as soon as possible, preferably before 3 years old. Problems can be detected even before a child can read or speak. Most problems are easier to treat when caught early. A child's vision needs to show the ability to have 20/20 in each eye by their 6th birthday and we have until 8 or 9 years old before a child's vision surpasses the critical period. Remember: A child may not tell you he or she is having a vision problem. Most children would not understand what normal vision should be in each eye. These problems are also difficult to detect through simple observation. When a child appears to be doing well with no complaints, it is natural to believe the child's eyes and vision are good. However, certain problems may go undetected in a child's earliest years. The best way to know your child's vision is normal in each eye is to let your eye care professional evaluate your child's vision. Dr. Tim also takes the time to explain any condition he finds so you better understand your's or your child's vision. He will also take the time to answer all of your questions about your's or your child's eyes. That is what separates us from all the other places. Your time is valuable and we will honor that time with a thorough eye health evaluation. Questions are encouraged. This can be an opportunity to find out what you have always wanted to know about your vision but were afraid to ask or were not given enough time with your previous eye doctor. We offer a wide variety of frame styles. Children, youth, ladies, and men can all find something to fit you needs. Our ladies frame lines are: Ray Ban, Vera Wang, Michael Kors, Coach, Lily Pulitzer, Costa Opthalmic, Vera Bradley, Trina Turk, Dana Bachman, Guess, LuLu, Eyes of Faith (a brand to Believe in), Valerie Spencer, Marie Claire, Joan Collins, and Boutique Rimless. Our Men's frame lines are: Nike/Flexon, Oakley, Ray Ban, Costa Opthalmic, Argyleculture, Original Penguin, Harley Davidson, Ducks Unlimited, Easy Twist (memory metal), Eyes of Faith (a brand to Believe in), Esquire, Earnest Hemingway, and Easy Clip (magnetic clip-on). Our superior budget lines include Enhance, Vibrant, Times Square, A-List, Red Carpet, and Modern Times. Our kids lines are Nike Junior, LuLu Kids, Vera Bradley girlfriends, Lilly Pulitzer, Ray Ban Junior, Modz kidz, and Enhance. We also carry Titanium, plastic, metal, and rimless frames. We have a large selection and wide variety to choose from and we are always updating the latest styles and hottest trends. We can special order frames when necessary. We always have specials. You will find marked down or discounted frames everyday. We offer special package pricing with select frames and lenses starting at $37 dollars for first pair including single vision plastic lenses. Second pair package pricing frame and lenses start at $70 dollars for single vision plastic lenses. That is 2 pair for under $100. Do not overlook our buy one get one FREE rack with many styles to choose from. We have select kids frames one for $45 and 2 pair for $70 including polycarbonate lenses. Last but not least, we give all students, veterans, electrical linemen, and service members 40% OFF their frame purchase. Don't forget, we carry the name brands, fashions, quality, styles, and prices you demand. You can always find something to fit your budget. Note: The frame discounts cannot be combined with any other insurance discounts and must be purchased from Family Vision Care. Family Vision Care offers a variety of quality sun wear. Our premium lines include: Costa Del Mar, Ray Ban, Oakley, Nike, Michael Kors, Coach, Eyes of Faith, and Vera Bradley. 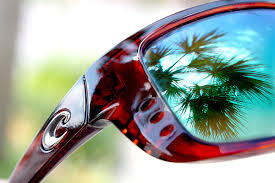 We also offer polarized lenses, UV (Ultra Violet) protection, transitions, or clip-on sunglasses. Protecting your eyes from harmful sun rays is just as important as protecting your skin with sunscreen. It is essential to keep your eyes healthy with sun protection. It can also be important to look your best and make a positive fashion statement with your new sunglasses. You will find the quality and fashion sunglasses you need at Family Vision Care. We offer a 25% discount on our sunglasses to everyone; however, you can qualify for up to a 40% discount on our non-prescription or prescription sunglasses. (Give us a call to find out how to qualify for this incredible discount) We also have quality sunglasses for a bargain deal with one for $35 and 2 pair for $50. We want to make buying quality sunglasses affordable so you can protect your eyes with the best lenses available. 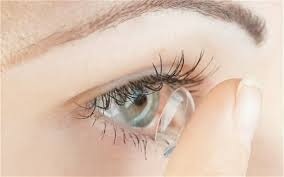 We offer many different types of contact lenses. Disposable, Daily wear, Daily disposable, toric lenses for astigmatism, bifocal contacts, color lenses, and gas perm. We also offer many types of contact fittings. ​Single vision, Astigmatism/toric, Bifocal, Monovision, and Gas Perm fits are available. We offer many different brands of contact lenses.. DAILIES Total One, DAILIES All Day Comfort , DAILIES Multifocal, Air Optix, Air Optix for Astigmatism, Air Optix Multifocal, Air Optix Night and Day, Acuvue Oasys with Hydraclear, Acuvue Oasys for Astigmatism, Acuvue Moist Dailies, Acuvue TruEyes Dailies, Acuvue Oasys dailies, Biofinity, Air Optix Colors, Freshlook Colors, Freshlook Dimensions, Soft lens 66 toric, and Proclear XR toric. We can special order most any contact lens brand you need. "We pride ourselves in our competitive prices. We monitor 1-800-Contacts and set our prices to be equal to or better than they offer. We do not want to give you a reason to get your lenses anywhere else but in our office. We also strive to get the best fit with the best lenses. Our goal is to offer you the best vision, comfort and price for your contact lenses." Your eye health is our MAIN concern. Nobody wants to have contact lens related problems, but many people do not understand all the risks contact lenses impose. That is because most doctors do not take the time to explain ALL the risks. Well, Dr. Sellers will take the time to explain those risks. He offers a new perspective on how to use your contact lenses. Our goal is to inform and educate you BEFORE a potential problem occurs. We may challenge you to a better wear schedule that offers improved eye health for the rest of your life. You will leave our office knowing how to take care of your lenses while maintaining the best possible long term eye health.